Our fresh oil roasted cashews ground into cashew butter - nothing else added. 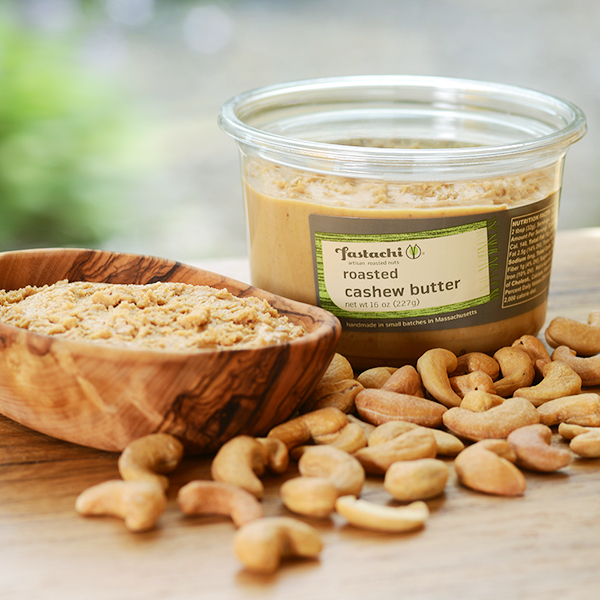 Our fresh roasted cashews are roasted with peanut oil within 1-2 days of shipping, and then ground into cashew butter just prior to shipping. Nothing else is added to this rich, decadent specialty. The freshness is incomparable; the nuts are roasted within 1-2 days of grinding them into nut butter, and are ground into butter shortly before shipping. The texture is smooth and dense with a little bit of crunch form the bits of cashews that make their way into the butter. Forget PB&J...try CB&J. 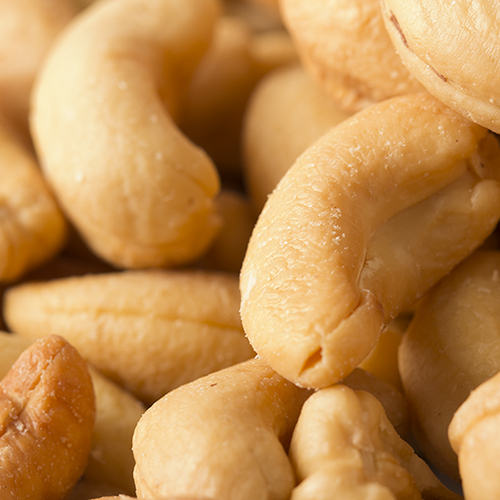 Cashews have a lower fat content than most other nuts; approximately 75% of their fat is unsaturated fatty acids. Cashews are also a good source of magnesium, high in proteins and low in carbohydrates, rich in copper which is needed for maintaining healthy collagen; a substance that lines blood vessels and supports the skin and joints. Cashew nuts are high in oleic acid, which is the same health mono-unsaturated fat found in olive oil - it promotes good cardiovascular health. 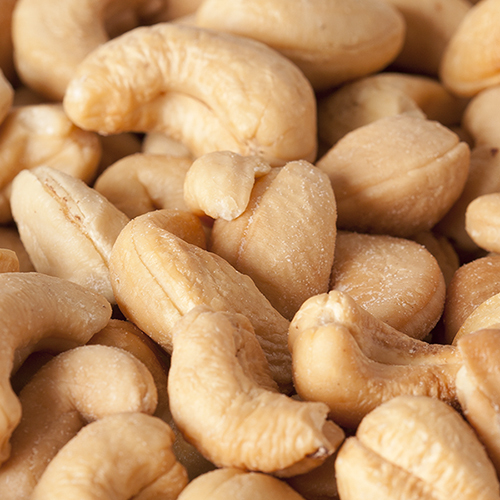 Cashews are also a good source of magnesium and zinc which is good for your skin and hair. Cashews help promotes healthy and strong bones. NUTRITION FACTS: Serv. Size: About 2 tbsp (32g). Servings: About 14. Amount Per Serving: Calories 200, Fat Cal. 140, Total Fat 15g (24% DV), Sat. Fat 2.5g (14% DV), Trans Fat 0g, Sodium 0mg (0% DV), Total Carb. 10g (3% DV), Fiber 1g (4% DV), Sugars 2g, Protein 5g (11% DV), Iron (10% DV). Not a significant source of Cholest., Vitamin A, Vitamin C or Calcium. Percent Daily Values (DV) are based on a 2,000 calorie diet. INGREDIENTS: ROASTED CASHEWS (CASHEWS ROASTED WITH PEANUT OIL). **** May contains traces of sea salt. I have ordered your nut butters many times, and I will continue to do so because the quality is superior to any other I have tried. It is always very fresh and tastes delicious! This is the most delicious nut butter I have ever tasted! 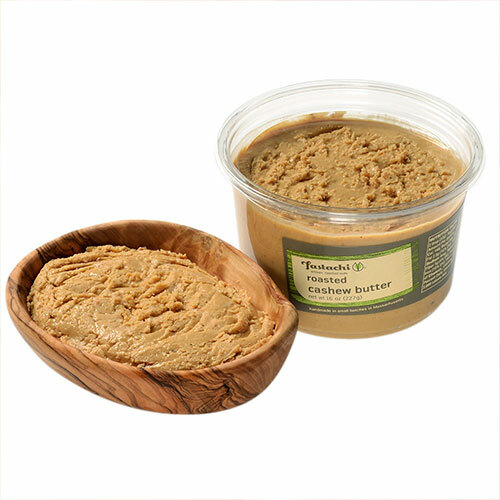 The Cashew Butter from Fastachi is the best we have ever tasted, and we have tried numerous brands. 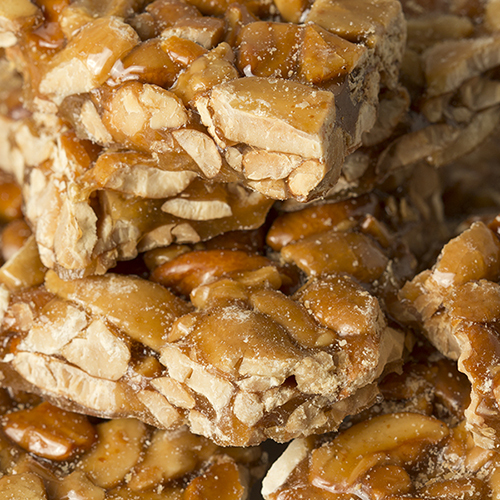 The difference we feel is the batches are fresh and the cashews are roasted in peanut oil instead of vegetable oil. The texture is smooth and creamy and cashewlicious. We spread it on bananas, mix it in our oatmeal, or just spread it on a piece of toast. Fastachi really cares about the quality of their products! Yes, you can get this at Whole Foods. No, it's not as good. Not even close.